Kids who train with Team Chitwood Martial Arts & Fitness DEVELOP FOCUS, GAIN CONFIDENCE, and learn the BEST SELF DEFENSE available for children. 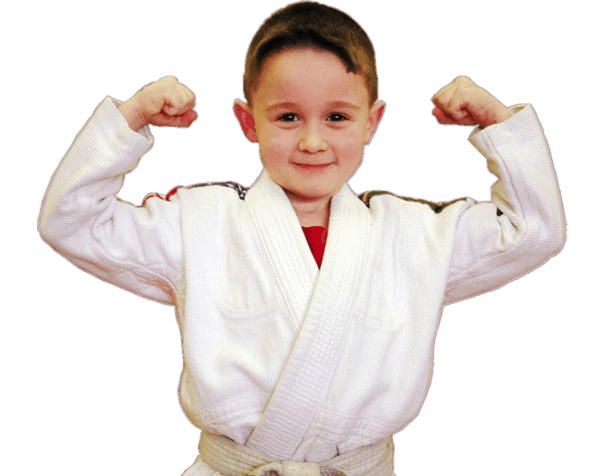 More realistic and more effective than kids karate – classes in Brazilian Jiu-Jitsu for kids are also LOTS OF FUN! Enroll your child today and set them on a PATH TO SUCCESS IN OUR KID-JITSU PROGRAM! For a limited time: Take advantage of this back-to-school special offer and try 30 days of Team Chitwood Kid-Jitsu classes for free! World-class Team Chitwood instructors train children in Gracie Brazilian Jiu-jitsu, which focuses on proper technique and leverage to maneuver even larger opponents or bullies with non-violent grappling methods – instead of striking. Classes are adapted to be age-appropriate and fun, and will show your child how to be alert and aware of strangers with “Stranger Danger” instruction, how to avoid, defend and diffuse bully encounters. We do this all while providing a great fitness routine and helping build your child’s self-esteem. The Little Dragons program was specifically designed with safety in mind. We teach these mighty munchkins emergency procedures, stranger awareness, and bully defense. We use jiu-jitsu as a platform to teach these essential skills with martial arts drills and games. It’s one of our most popular programs because the whole family has an opportunity to get involved. Occasionally, we bring family members into the classes as volunteers and it's a blast! Start Today – Try Little Dragons Free for 30 days! Your child will learn how to deal with bullies in a non-violent manner, while training in a realistic method of self-defense. Team Chitwood students also gain experience in setting and achieving goals, and in overcoming adversity. We accomplish these goals through patient and positive instruction, and by creating a safe and fun learning environment. 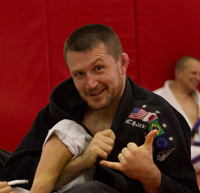 Jiu-jitsu is also a great way to burn off extra energy while improving agility and athleticism. Start Today – Try Bully Guard Kids Free for 30 days! Experts agree that while the commercialized kids’ karate classes may help parents to teach respect and can instill confidence – kids’ karate classes are generally not effective ways to train kids for self-defense. The kicking and striking taught in karate schools are not realistic in a real-life situation, and may even make it difficult for adults to identify the aggressor in the fight. With Team Chitwood’s Kid-jitsu classes, your child will learn real technique that can be applied to subdue a bully or attacker, in addition to learning about emergency preparedness, stranger danger, and how to diffuse a bully situation before it becomes physical. If after trying our free classes, you decide Team Chitwood Kid-Jitsu Classes are not for you – simply cancel at any time during the 30 day trial period and you will not be charged. "A real jiu-jitsu fighter does not go around beating people down. Our defense is made to neutralize aggression." No other school in the Manfield / Lexington OR North Columbus / Lewis Center area has the strength in knowledge and leadership that you get with Team Chitwood Martial Arts & Fitness. Here, your children learn from champion practitioners of martial arts, skilled instructors, and great role models! World Championship title with Team USA. Shawn was among the first Americans to train in Brazilian Jiu-jitsu under the famous Gracie Family, and is one of their first American black belts. He began his training with Relson Gracie, Royce's brother and trainer for the UFC, in 1993 before the first UFC and before they were a household name. In 1998, Shawn met and trained with Saulo Ribeiro, a Royler Gracie Black Belt and the most decorated Brazilian Jiu-jitsu competitor ever. Shawn still travels regularly to Brazil to train with the Gracie family, speaks Portugese fluently, and is one of the only Americans ever to teach jiu-jitsu in Brazil. Team Chitwood is proud to form a strong flank of the Relson Gracie Association. Grandmaster Relson Gracie's first black belt promotion as red belt. 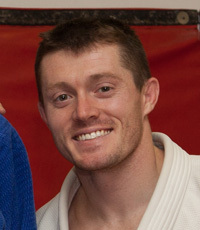 Neil brings a unique style of leadership to the mat as a 2003 United States Military Academy at West Point graduate. He credits his leadership training and Black Belt from Team Chitwood as the primary factor he received a nomination to West Point. 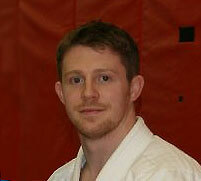 As an instructor he encourages attention to detail, discipline, and respect for others from his students. Goal oriented and mentally tough, Neil is a great instructor and mentor. In 2007, Craig graduated from Ohio University with a Bachelor's Degree in Criminal Justice, minoring in Psychology. Loving to teach and knowing the potential of Jiu-jitsu to change and influence people in a positive way, Craig took over as the Director of Training at Team Chitwood Martial Arts & Fitness. Today, Craig continues to be a student of the art and is continually refining the Chitwood brothers' teaching methodologies that have helped thousands of students since 1994.